It is important to review an insurance policy on a periodic basis. All too often we set insurance policies aside in a file drawer and forget that some items in them need to be updated from time-to-time. The easiest way to organize and review your insurance policies is to create a one-page policy summary for each policy. Most insurance policies contain a page in front of the insurance contract that is called a " declarations page" or "policy summary." It will contain most of the information you will want to review. You can also create your own policy summary template on a pad of paper, in a word document, or in an excel file. By writing down the relevant information in your own template it can help you understand it and remember it. 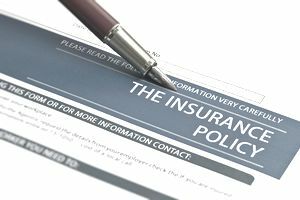 Type of Policy - Is it ​health insurance, life insurance, long-term care insurance, disability insurance, property and casualty insurance, or auto insurance? If you are reviewing or summarizing a life insurance policy, specify what type of life insurance policy it is: term life, whole life, universal life or variable life. Insurance Carrier - Who is the insurance company that provides the insurance? Keep track of a customer service number you can call, or the contact information for your insurance agent. Policy Number - You will always need your policy number when you call and ask questions about an insurance policy. Date Issued - It is important to know the date the insurance was issued, especially when it comes to life insurance, as term insurance has an expiration date, and permanent insurance will have a surrender charge that may apply if you cancel the policy in the first five to twenty years. Insured - Who do the benefits apply to; you, your spouse, or a dependent child? Beneficiary - For life insurance, who is the beneficiary? If it is an ex-spouse or a beneficiary you named prior to marriage, contact the insurance company for a change of beneficiary form to get the information updated. A will or trust will not take care of this. You have to fill out the proper form and send it back to the insurance company. Once you have the basics down, you'll want to look at the details of the policy so you understand how the benefits work, and what restrictions may apply. Looking at the details can help you spot areas where you may have duplicate coverage, too much coverage, or areas where you are under-insured. To conduct a thorough insurance review call your agent, or set an appointment with them, and have them walk you through each feature of your policy, explaining when it would apply, how you would qualify, and how much you pay for it. Below is a brief overview of the details you'll want to review for each type of insurance you may have. For life insurance, keep track of the total death benefit, and any additional riders such as a waiver of premium in the event of disability, or the ability to access the death benefit early in the case of being diagnosed with a terminal illness. If you have a term policy, put a reminder on your calendar the year the policy is set to expire. You'll need to evaluate options at that time and see if you still need the life insurance coverage. In addition, if your policy has a cash value, track the performance of investments inside it, and call the insurance company to request something called an "in-force illustration." An in-force illustration will project how the policy should perform from now throughout the rest of your life. If the policy has performed well and is expected to continue to do so, you may be able to forego premiums. If the policy has not performed well, you may have to pay higher premiums to keep it in force. Reviewing policies on a regular basis can help you anticipate these future changes. For long-term care insurance, you should know the “per day” benefit, and how long the benefit would last. For example, your policy may pay $100 per day for up to 500 days in the event that you qualify for long-term care benefits. You'll also want to know if your policy covers in-home care or only services provided in an assisted living facility. To be eligible for benefits, most policies require that you need assistance with two out of six activities of daily living and will have some type of waiting period such as 90 days or 120 days. The longer the waiting period, the more of your own funds you'll want to have set aside so you could pay out-of-pocket if a short-term care need occurs. For disability insurance, you want to know the monthly benefit that is payable, how long it would pay you, and how the insurance company defines disability. A policy that only pays if you lose an arm and a leg is not very useful for most people. Many disabilities are not of that nature. Professionals want a policy that protects their ability to work in their specific career. For example a surgeon needs all ten fingers; if they were to be injured and lose the use of a finger, perhaps there are many jobs they could still do, but the best disability policy for them will still provide a benefit at least for a period of time, because they can no longer perform surgery. For property and casualty insurance, take a look at your total coverage relative to what you own, and to your net worth. As your net worth grows, the amount of insurance protection you have should also increase. If someone were to be injured on your property and sue you, would your coverage hold up? It helps to know what items are excluded from coverage. Best to review this with your insurance agent and adjust coverage as needed. If you run a business out of your home, be sure to bring this up to your agent. Yes, additional coverage may be needed, but it is better to pay a small premium to have things covered than to experience a devastating uncovered loss. Reviewing policies isn't exciting, but it is part of a sound long-term financial planning process. Near Age 65? Time to Learn What Medicare Part B Covers. What Happens If Your Insurance Company Files Bankruptcy? Is a Health Savings Account Worth It If You Are Over 55? Life Insurance After 55: How Much Do You Really Need? How Much are Medicare Part B Premiums in 2017?